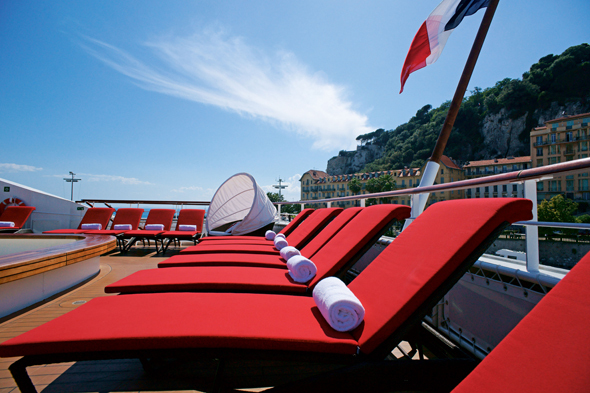 As chic as most things French, Compagnie du Ponant is a cruise line for those who enjoy the finer things in life. Of their fleet of four beautiful ships, Le Ponant definitely scores points for a unique experience on board its three-masted ship, which caters for an intimate 64-passengers. They even offer sea voyages between two continents for those who love unadulterated time on the water. In-suite butler service and unique itineraries give the cruise line a small ship feel as they sail to destinations across the globe. A 12-night cruise from Chile to Ecuador on Le Boréal departing on 16 March 2014 costs from £2,640pp. For more information visit en.ponant.com or call 0800 980 4027.